Give your home a 60 minute make-over! Do you love interior design but need inspiration and help to decide what suits your home and family best? Urban Modern / Industrial / Bohemian / Shabby Chic/Vintage / Mid-Century Modern / Coastal / Scandinavian – which style do you love? Book our 60 minute makeover and we will come to you, in your home, and find out your interests, your taste, loves and hates, what you already have, what you would like to achieve and your budget. Just a few changes can turn it into your dream home! Just one wall can transform a room. It just takes vision – and some courage! Email now to arrange a call. Our artists can design a wall mural or original canvas to reflect your brand and your vision and values that will become a talking point in your reception or boardroom. Something personal could make an inspirational gift for someone who ‘has everything’, on one of those landmark birthdays. 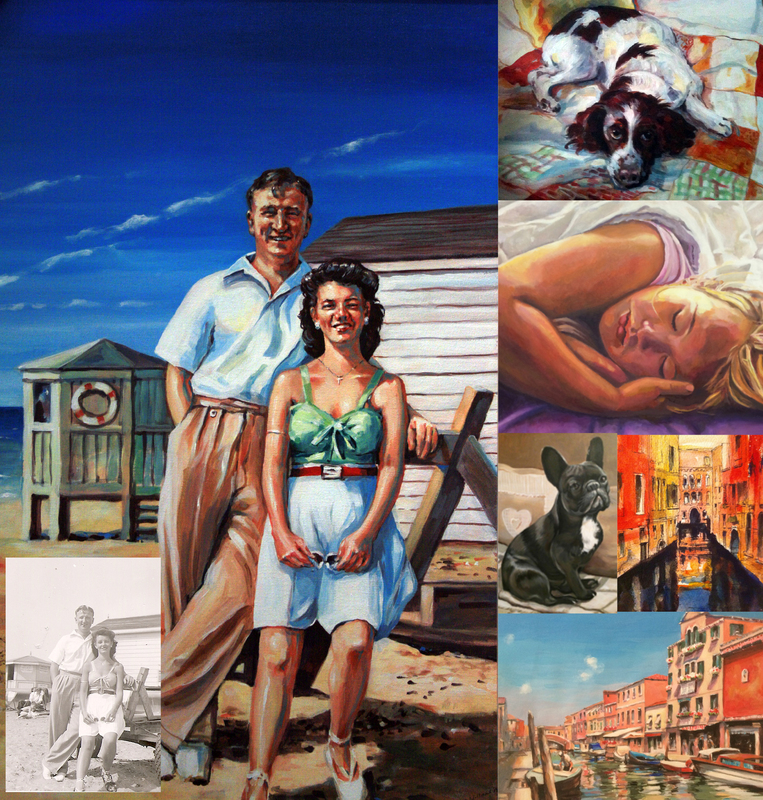 A painting can say far more than a photograph about a time gone by, bringing the characters back to life, or recording memories for the future of children or treasured pets. Nostalgic and precious black and white prints can be transformed into colourful paintings showing another place in time. Seen somewhere you loved on holiday? We can paint it from your favourite photograph. Or you may wish to capture your home or garden.